Although our attorneys have dedicated their careers to the criminal justice system, they have not always been criminal defense attorneys in private practice. Mr. Buh spent years as a prosecutor in the state of Illinois, including time as Illinois Assistant Attorney General. Mr. Johnson, meanwhile, was a circuit court-appointed chief public defender. 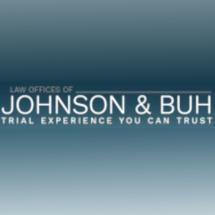 Whether your legal need is in the area of criminal law or family law, the attorneys at the Law Offices of Johnson & Buh have the experience you need as you work toward overcoming your legal challenge. Our attorneys will work together to build a solid approach to your criminal defense strategy or your family law problem. To learn more about why the people of the Geneva area turn to our law firm for assistance, you can take advantage of our offer for a free initial consultation.